It’s not very often when a new technology comes along that has the potential to completely disrupt an industry, or affect how an entire society trusts, communicates and transacts with each other. Blockchain technology has the potential to disrupt healthcare and change how we, as consumers and patients, interact with our healthcare service providers. Sounds like a trip down the old hype cycle, but if you can remember back to your first ride on the Information Super Highway or that first Blackberry or iPhone, then you have an idea of how these technology innovations can dramatically change our world. Today, we depend on central authorities to manage the source of truth for financial transactions, credit scoring, medical claims, clearinghouses and of course, patient records with electronic medical record systems. Our healthcare services and a variety of other industries depend on these databases to be up and available so we can conduct our respective business services. With trust, cybersecurity and interoperability at the center of many of our most critical challenges, the concept and architecture of the traditional central authority must evolve. Enter the blockchain, which is a distributed network where all the members have a copy of the transaction database; these distributed ledger participants must agree on changes by consensus. The database file in a blockchain is composed of blocks, where each block includes a cryptographic signature of the previous block, creating an immutable record. The distributed nature of the blockchain network verifies the integrity of the transactions. The associated account balances make a successful attack mathematically impossible. There are several great references on how this technology works. Instead of focusing on the technology, let’s review some of the most common problems to solve in healthcare IT and how blockchain can provide solutions that transform how we operate. A patient’s identity is at the root of all healthcare transactions. It is the entry point for Master Patient Index (MPI) to access an EMR and how procedures and claims are submitted and perform adjudication. One of the most challenging problems to solve in in healthcare is establishing and maintaining the identities of patients and the physicians credentialed to treat them. We have many identities; some are used for banking, bank cards, loyalty cards, library cards, university cards and most importantly, to receive healthcare services. These are different virtual identities linked to your core identity, which from a one to many design identifies you. A digital identity managed under a blockchain with digital signatures and a consensus mechanism provide an immutable identity solution for healthcare. The Blockchain identity approach addresses unique identities that need to be represented digitally. Unique refers to an individual which is typically represented digitally with username and password and moving towards biometrics and multi-factor authentication techniques such as fingerprint, face scan and pin number from a specific cell phone. That identity can then authorize the creation and usage of the patient’s EMR or the properly credentialed physician. The patient’s identity is captured in a digital signature and cryptographically captured in the blockchain which becomes the immutable source of truth for the identity of the patient. The need for blockchain digital identity is becoming more and more critical due to increasing transaction volume. The number of identity-dependent transactions is growing due to the increased use of the digital channel and growing connectivity between entities. There is also an increase in transaction complexity; transactions often involve disparate entities without previously established relationships (e.g. customer and businesses transacting cross-border). With rising customer expectations, patients expect seamless, omni-channel delivery and will migrate to services that offer the best customer experience. Regulators are demanding increased transparency around transactions, meaning that payers require greater granularity and accuracy in the identity of information that they capture. As a result, payers being held increasingly liable for inaccurate or missing identity information. Cybersecurity is also driving this need. Bad actors in financial and healthcare systems are becoming more sophisticated in the technology and tools that they use to conduct illicit activity, thus increasing their ability to quickly cause financial and reputational damage by exploiting weak identity systems. The challenge when defining blockchain technologies is how to position it for the future. This use case explores patient identity and the delivery of EMR and other patient information necessary to the delivery of healthcare. In the world that we live in, and this is increasing over time, each human/patient is actually a conglomerate of a huge variety of data. In the past, a single EMR at a hospital may have been adequate. The patient of the future is a composite of EMR data and the data from other provider EMR’s such as a hospital, ambulatory or urgent care, pharmacies, genomic data, huge data set from our wearables, survey’s, implants and IoT. The patient of the future is a vast collection of data. Currently, when someone comes into a healthcare institution, all we have today is a small database of data; some files are separated and might even be faxed documents or in stacks of paper. This requires a form of identity that connects that patient to the data they are carrying, or variety of databases where medical record numbers are different and patient information might be inconsistent. This interaction with the patient can be streamlined, ultimately leading the way to a greater quality of care. The healthcare entities would join a blockchain to have access to a large network of verified and secure data. When a patient comes to the hospital and wants care, the provider has a method to see all the imaging data and EMR information. The wearable data, pharma data, genomic data, and past claims data is immutable and easy to access. The advantages of blockchain enabled solution is that healthcare providers will have a greater ability to treat patients, with a better picture and understanding of the patient’s health. It can also save in costs in a fixed fee based healthcare system. When you run a redundant test the system makes money; in the future, with value based model, this will not be the case and this redundant procedure will not be reimbursed. Access via blockchain can eliminate that redundant test and reduce cost. Blockchain has the potential to improve treatment. Because the provider is using a Smart Contract, which is a coded contract that is delivered via the blockchain once service is received and validated, the payer could automatically pay providers when conditions of service are established and met. Blockchain can improve safety by providing a more reliable identity management process. It can also reduce the stress on patients when communicating health information as they inherit more responsibility in their own care. These are just a few of examples of how blockchain can significantly disrupt healthcare. 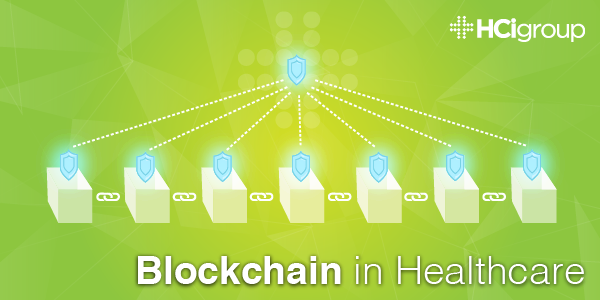 The interoperability and security potential of blockchain have several use cases and could potentially be the answer to a secure and reliable longitudinal health record providing the interoperability that every healthcare organization looks to achieve. Many organizations are now investing in blockchain and service providers who can help them integrate and adopt these technologies.